Behind the scenes, reliable sources say Mayor Ravi Bhalla is less than pleased the City Council improved the proposed Hotel Hilton community givebacks for another $350,000. While admitting that political reality, the City spokesman tried to put the best face on the additional 350K showing up minutes after word of the deal hit the street. Clearly, money was left on the table and sources close to the discussion revealed obtaining the initial $300,000 for the three charter schools took mere "minutes." "The Mayor negotiated an agreement that included $4.5 million in community givebacks. We applaud the City Council for securing an additional $350,000. 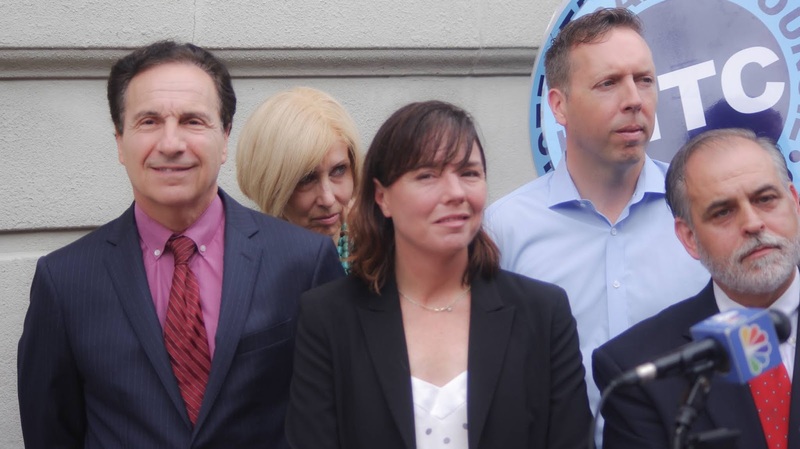 This is an excellent win for the people of Hoboken. Councilwoman Jen Giattino is the impetus behind hundreds of thousands of dollars boosted in givebacks according to well-placed sources on the Hilton Hotel community givebacks package. Among the groups seeing additional funding: all three Hoboken Charter schools, the Hoboken Affordable Housing Trust and more infrastructure funds. Talking Ed Note: It's a little too early for an Orwellian rewrite of history. The City Council with other members of the public pushed back on limiting funding to only two non-profit groups: two million for the community center replacing the Y and a million for the school district. If you want to blame or give credit where due, look no farther than Councilwoman Jen Giattino.